I feel like I made almost nothing this year. I honestly think I did too much theatre for one year, and the past few months, I've just felt very worn out. That, combined with working all year (instead of being unemployed for 8 months like I was last year) means very little sewing actually got done. I completed the green wool bustle gown. Most of this was done in 2016, but I think I did the neckline dickey area and the hem in 2017. 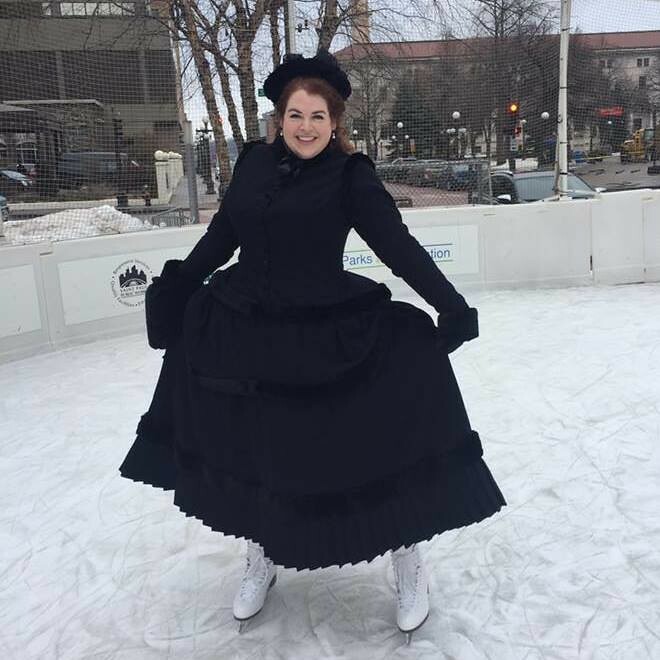 I also made an adjustable length quilted petticoat that I used for this dress and my skating dress, and decorated the hat. And apparently I never took any pictures of the quilted petticoat. 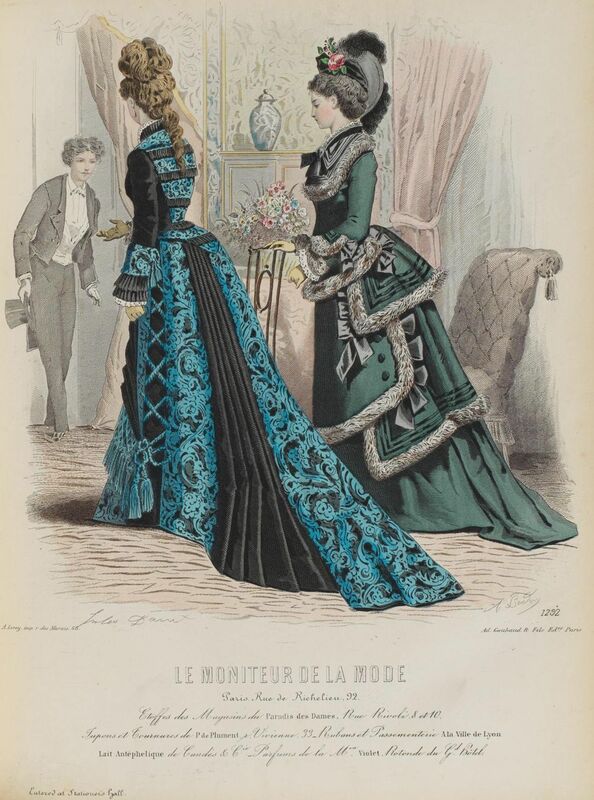 1860s Giant Turquoise Ballgown, which also included making royal orders and a headpiece. 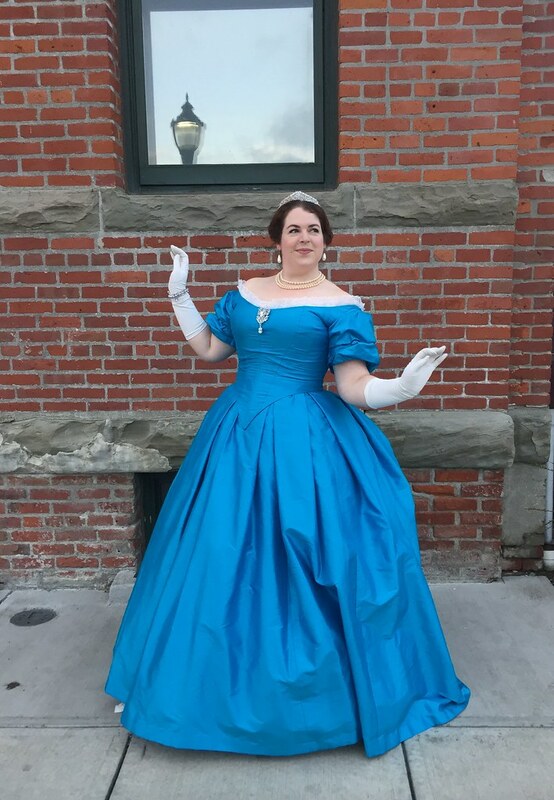 I made this in two parts, completing the base dress by the beginning of April, and then making the train and trimming it in the lead-up to Costume College. 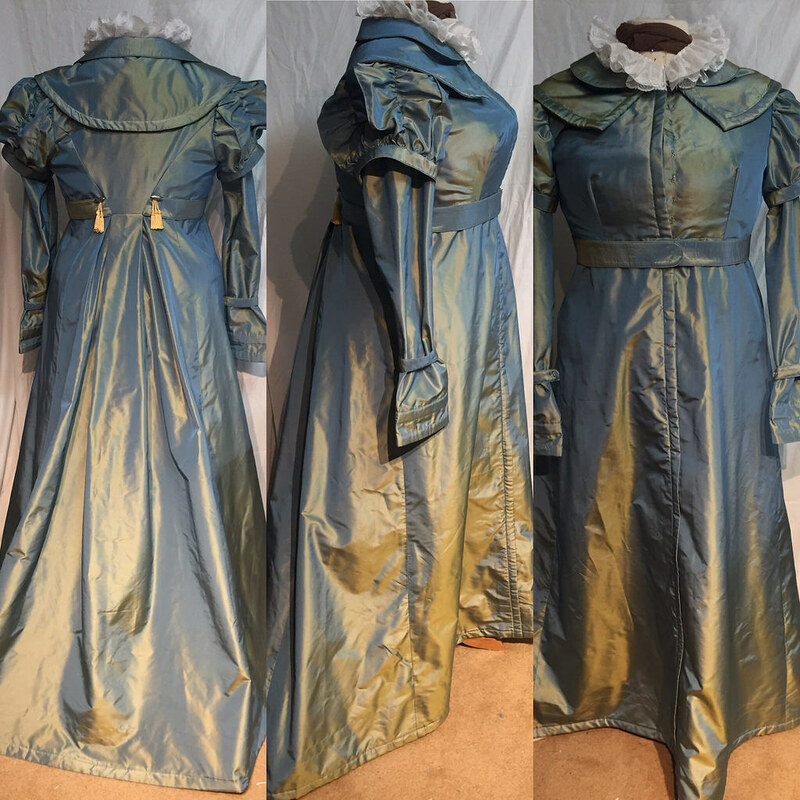 Plus a commission for altering a Zouave jacket and making another Victorian jacket, and 14 little girls playdresses and 2 skirts for etsy orders. 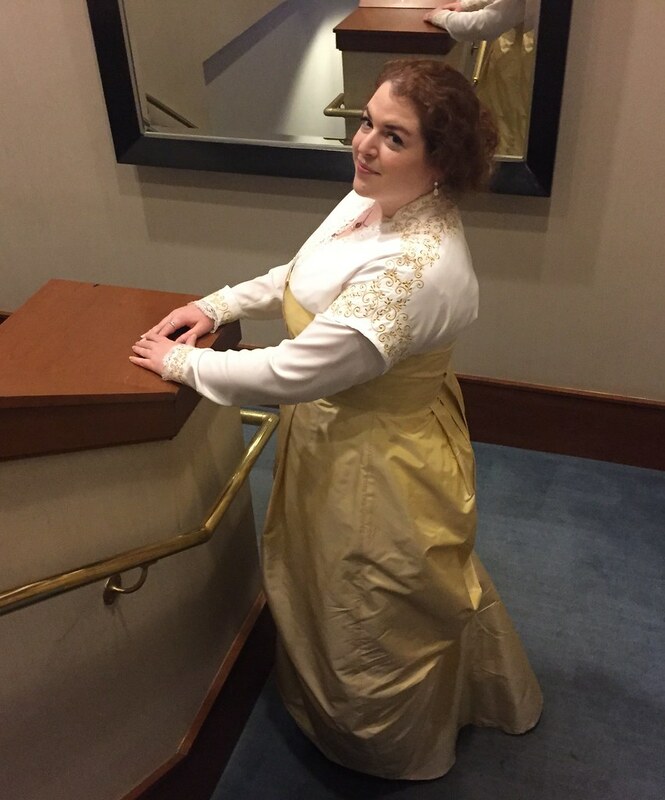 This post has made me realize that I haven't put anything from this year on my website, and I never did a CoCo wrap-up post for Friday through Sunday, either, or completed outfit posts for Elizabeth Swann or the Turquoise Ballgown. Whoops. I should probably do those! Port Townsend was lovely. I got up there about 3:30 on Friday, and met up with Val at the hotel. 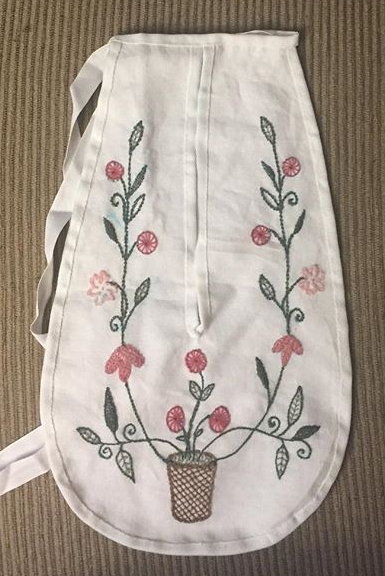 We went out to the antique stores in our muggle-wear, and though I was tempted by a ton, I was good and only bought a $5 vintage white eyelet apron. Then I changed into my skating dress, and we joined Mara for dinner. Saturday, I wore my green wool winter dress. Val and I joined vanessa_lynne and her husband to walk around town for a bit before tea, meeting up with Mara partway through. After tea, I visited the Jefferson County Museum, and then took part in the fashion show along with the other ladies (and a few gents). I changed for the ball, and we all went out to a tasty dinner before heading to the ball. The dancing was fun, and Mara made a good partner. We also met a couple other local ladies in beautiful dresses who we have hopefully now recruited to come to our events. It's always nice to meet well-dressed people! On Sunday, I wore my skating outfit again, and Val and I took a tour of some of the historic buildings downtown. Honestly, visiting the Hastings building may have been the highlight of the weekend. It was built in 1889 as an office building, and was used for housing during WWII. Since then, the upper floors have been mostly vacant, though the owners are hoping to eventually open it as a hotel. It was absolutely fascinating to see. I've included a couple pictures here, but most can be found in my facebook album. 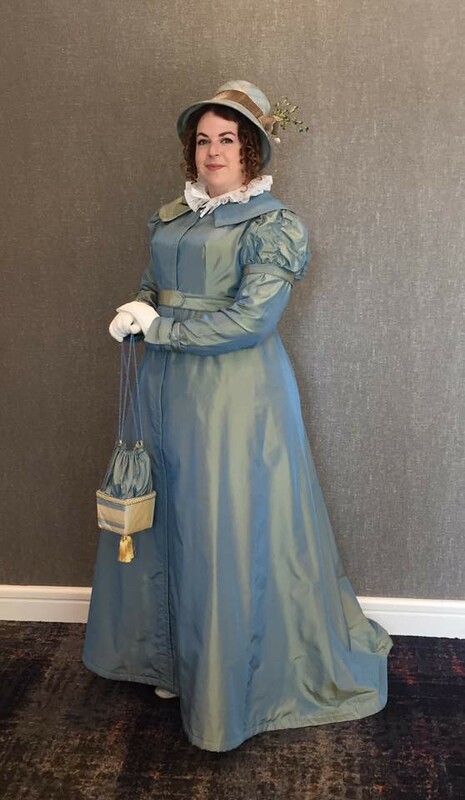 The basically finished green wool bustle gown was worn yesterday for our outing to the Sherlock Holmes exhibit at the Pacific Science Center. It was so much fun to wear, and I got so many complements! It was also pretty warm, which is good. We had to stand outside in line for an hour in probably mid-to-high-30s before we could get into the exhibit, and though my toes were freezing (even in my carriage boots), my arms only started to get cold in the last 10-15 minutes, and the rest of me stayed nice and warm. That should be good for MN, because if the weather prediction stays true, it should be the same temperature there. 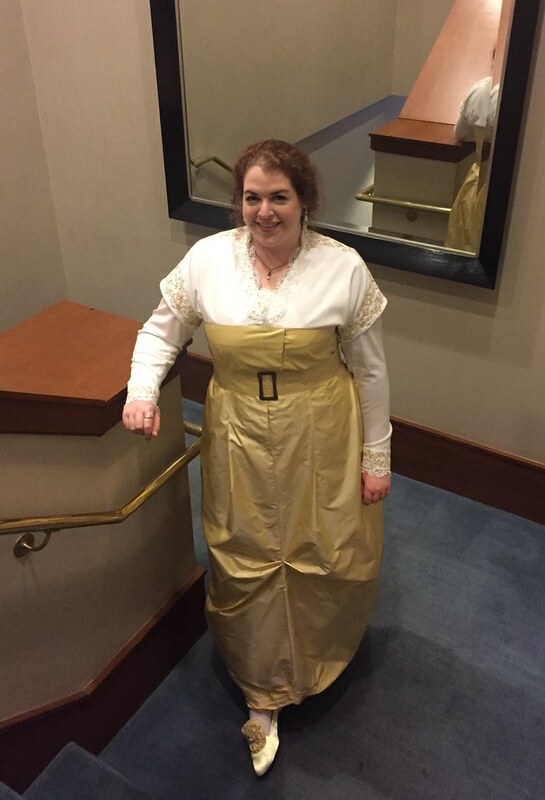 Also, it turned out the quilted petticoat was the perfect body for this dress. I wore it over the lobstertail and a bum pad, and didn't need any other petticoats. And now what you've really been waiting for - pictures! They had this 2x scale dining set, which was very fun to try to sit on! There was also a corner mirror, which we naturally stopped to take lots of pictures in. There's just a couple things I still need to do to the dress. Someone stepped on my skirt, even though it was bustled up, and one of the bustle ties tore out (luckily, I don't think it tore the fabric at all). So I have to fix that. Also, while I decided I like it better without any additional trim on the dickey, I've decided to add the three large buttons on either side of the overskirt (on the dressform, that area was hidden by the bows, so I didn't bother, but there's room for them when I wear it). And if I'm able to acquire more of the green velvet trim, I'm going to add it to the sleeves. But even if I can get more of it, it won't be before the Little House Party. So luckily, there's not much left to do for now! I finished the quilted petticoat, decorated a hat, and added the lace trim to the collar and cuffs on the bodice. I also added tapes inside the skirt so that I can bustle up the train. I didn't wind up trying everything on, so hopefully it will all work! I'm wearing it tomorrow for a Sherlock Holmes event, so I'll find out then. I have to remember to mark the additional dickey trim before I take it off, so that I can add that later. And obviously I need to take lots of pictures! 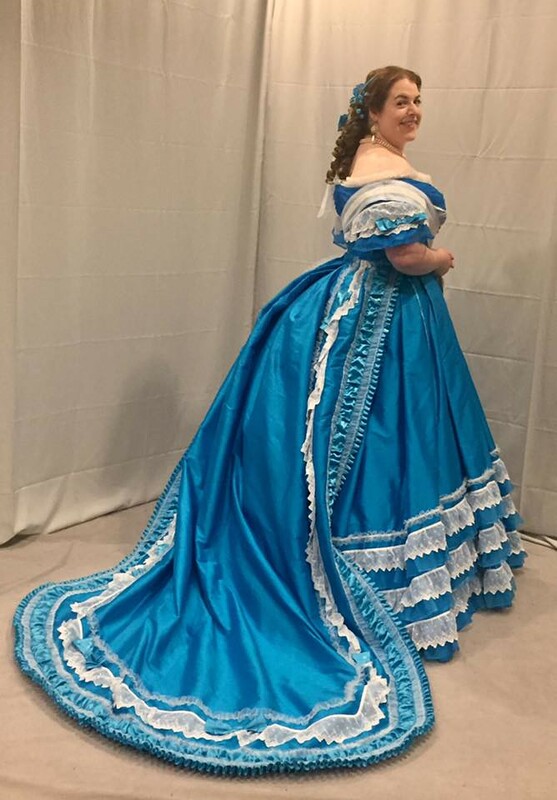 One idea I did come up with today is that I'm going to make a detachable train ruffle for the quilted petticoat that can button on when I have the train down. I also want to add buttons and buttonholes all around the whole petticoat so that I can fold up the bottom 8" or so to shorten it for wearing under my skating dress. I'm going to make the skating skirt first, though, so that I know how long it needs to be. I worked on the dickey trimming a little bit today. I did my three buttonholes and buttons, finished trimming one of the lapels, and put the trim around the collar. I'm debating about doing a little more before I go to sleep, even though I shouldn't. On the other hand, though, I did submit two class proposals. I decided that I would let them choose between the Super Quick 18th c Quilted Petticoat or the 1830s vs 1890s sleeves. The petticoat would be way easier for me to prep, but I think the other one would be more popular. Edit: I was bad. I'm now up way too late, but I added the trim on the other lapel, plus the ribbon tie, and a hook and eye underneath the tie. I think it's at a point now where it's wearable, but I might still add lace around the neck of the collar, plus the velvet trim in the square part of the neck. First I'm going to make a bustle-era quilted petticoat, though. 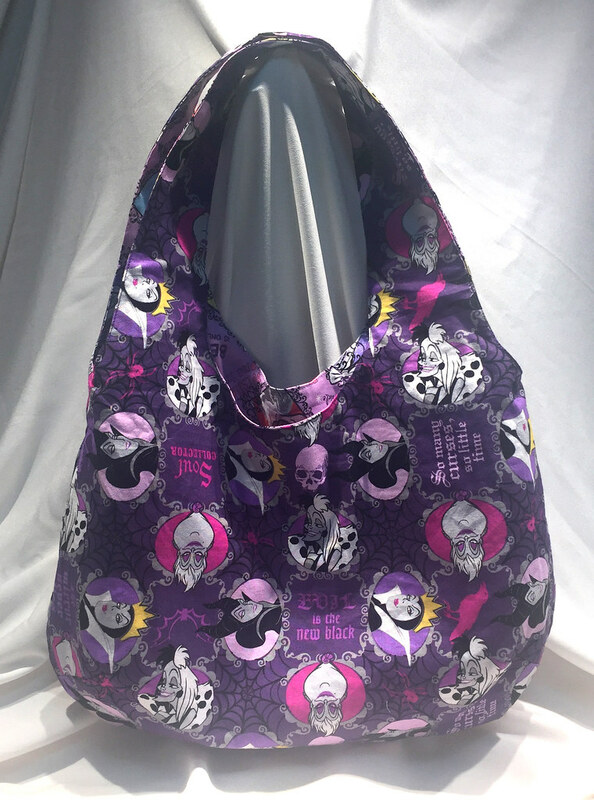 I think I should be able to make the whole thing tomorrow, assuming it's not too cold to go in the sewing room. I don't know why, but the dickey gave me so much trouble today! I did finally wrangle it into submission. It's complete, other than trimming and buttonholes/buttons, and I've stitched it into the bodice. But I don't love it. I think with the trim it will look a lot better, but right now it just looks like a lot of grey, and polyester at that. Joanns closed today before I could make it over, but I'm going to go there tomorrow and hopefully find some trim options. It's so hard to tell what's going on in the fashion plate - the trim on the dickey almost looks black instead of the forest green like the skirt, and it's also much narrower. The ribbon at the CF also looks black. But the thing is, that other than possibly doing the buttons on the skirt black, there's no other black on the whole outfit. So would it look out of place? Here's the plate, and a link to the high res, if anyone has any opinions. I didn't get to the skating dress today, since I went to go see La La Land this evening, but I've cleaned my cutting table off so that I might be able to get to it tomorrow. 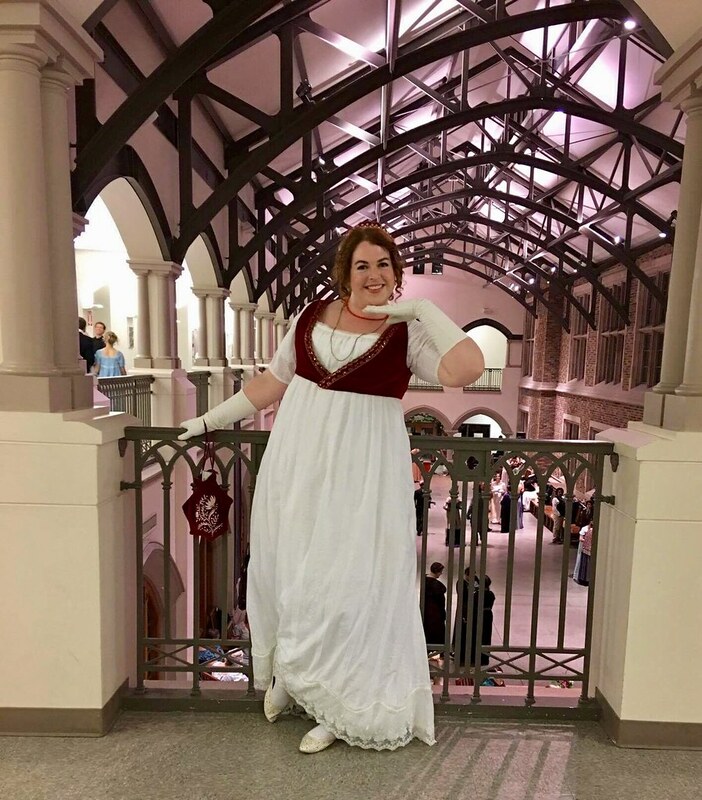 First, though, I have a rush order of a Belle playdress that I have to do tomorrow, and I really need to work more on my lines for the show as well, since we start rehearsals back up tomorrow night. I didn't sew very much today, because I was feeling a bit burned out after yesterday. I did make the bows for the cuffs, and sewed those down, as well as finishing the fur on the cuffs. And I sewed the bows on the overskirt, and tacked the overskirt pieces to each other so that they wouldn't shift, and put all my hooks and bars on my skirt and overskirt waistbands. I also mocked up and patterned most of the dickey piece - I have the main dickey piece and lapel pieces cut up and ready to be flatlined, and I think the collar part is just going to be a tapered band. I'll finish that tomorrow - hopefully it won't take too much longer. And then I really need to get on to the skating dress. I'd like to have a significant amount of it done by Monday evening. 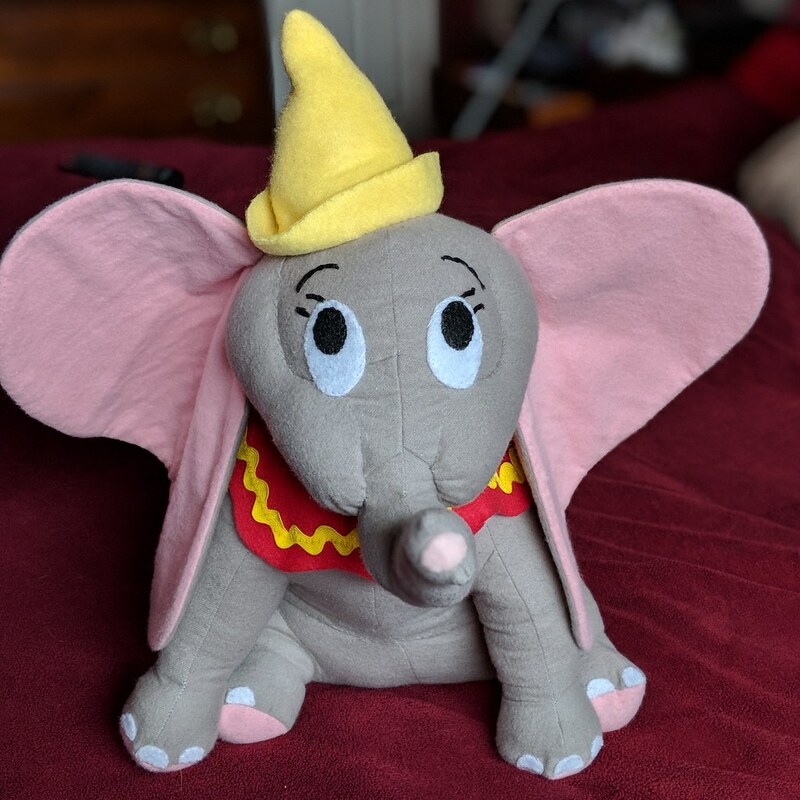 We start up rehearsals again this week, and I have two this week, and I think four the following week, so my sewing time is really going to be reduced. And there's less than three weeks left till the Little House Party! I have been sewing all day today. Like seriously, I've had maybe four 30-40 min breaks since about 10:30am through 2:30am. And yet I feel like I've done nothing. I want this dress to be finished! So what did I do? 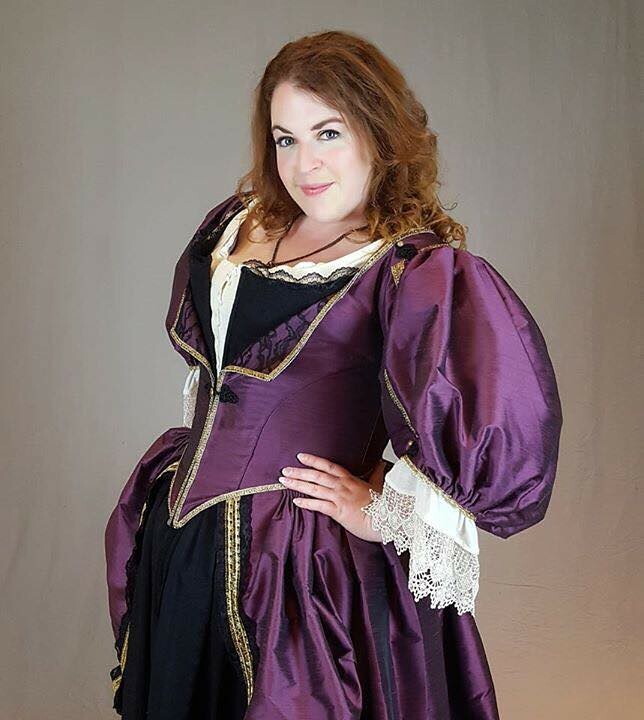 I sewed on all the ribbon pieces to the bodice skirts, mocked up a sleeve, and then tried on the bodice. And it's a good thing I did, too, because it was too long in the shoulder straps by about 1.5," and the neckline was way too high. I fixed the shoulders and the neckline, and set (and reset) the sleeve mockup a few times, tweaking things like how gathered it was. And I actually wound up with a nicely fitted sleeve! It was nice to try on the skirts as well - they really worked pretty perfectly. So then I cut out the sleeves in the sateen for the lining and in the wool. As expected, I did have to piece a little bit - I wound up being 4" too short on one of the inner sleeve pieces. I'm hoping that if I can find more of the velvet ribbon trim (a friend is going to look in the fabric district for me next week), that it will maybe cover or at least draw attention away from the pieced seam. I also cut out the sateen pieces for the skating dress (with a slight alteration to the flare at the cuff), since that will also have fitted long-sleeve two-piece sleeves. I figured out how I wanted to trim the sleeve hems, and I'm varying just slightly from the plate on these, and sewed the fur in place, for the most part (the part that goes up the sleeve still needs to be sewn on, but that has to wait till after I attach the ribbon pieces for the sleeves). I set the sleeves to the bodice, and sewed on the fur trim around the neckline as well. I really want to finish it tomorrow, but I doubt that I will. I still have to figure out the whole piece that goes into the neckline, which I know will take a while, since I have no clue what is going on there. Plus I have to add the ribbons to the sleeves and to the overskirt, and put hooks and eyes on the skirt. So I'm not too hopeful. But I really want this to be a 2016 project! I used my new skates today! My bf and I went ice skating for an hour after work. My arches were definitely hurting for the first half, but they got better, and I'm excited to go skating a few more times over the few weeks leading up to the Little House party. Afterwards, I took a nap. But I did sew for a few hours this evening! I handsewed down the inside edge of all the fur I had sewn onto the bodice yesterday, and sewed down all the pleats on the inside of the bodice waist. Then I cut out the "ribbon" strips for the bodice, and melted the edges, and pinned all of the ribbons in place. I also picked out which buttons to use (black/gold textured plastic buttons), and antiqued the gold with black nail polish so it wouldn't be shiny. Also, since everyone else is doing it, I'm working on backing up my LJ to dreamwidth (same username). 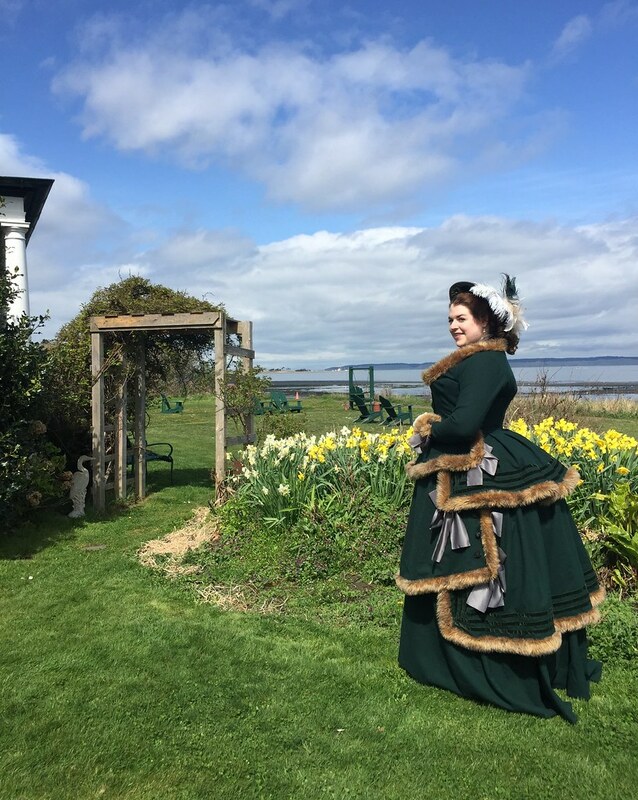 I sewed together all the green wool bodice pieces, and evened out the hem to be more like the lines of the fashion plate (mine weren't quite slanted enough). Then I started on the trimming. I ripped more strips of fur for the trim, sewed on three rows of velvet ribbon to the hem of the back, and machine-sewed the fur to the hem of the bodice. I had intended to line the back skirts of the bodice, and even cut a section of silk habotai to use for it, but I don't think I'm going to use it. It's already interlined with the black twill, and because the addition of the velvet ribbon basically quilted the hem, it's quite stiff. I don't think there's too much of a chance of it blowing up and showing the underside. That makes it a bit easier, and hopefully I'll just be able to sew down the other side of the fur tomorrow, plus add buttonholes and possibly buttons (if I can decide which ones!) I'd also like to get to the sleeves, and/or cut out the rest of the skating bodice pieces. I'm planning to either go ice skating or see Manchester By the Sea tomorrow, though, but at least I don't have to go to bed early, so I should get a fair amount done. I saw Collateral Beauty after work (interesting story, beautifully acted, and lots of crying on my part), picked up 6 yards of twill at Joanns, and made it home by 8pm, and got right to work. While the fabric was being washed, I flatlined all the bodice pieces I had already cut out for the green wool bustle gown, and sewed my darts on the bodice fronts. Then I cut out the last two bodice pieces in the twill, and flatlined those, and I'm now attempting to call it a night so that I can at least get 6.5-7 hours of sleep, instead of five. I don't think I have anything going on after work tomorrow, so I hope to finish assembling the bodice, cut out and flatline the bodice pieces for the skating dress, and maybe mockup the sleeves for the green wool dress. I didn't wind up going ice skating or seeing the movie. 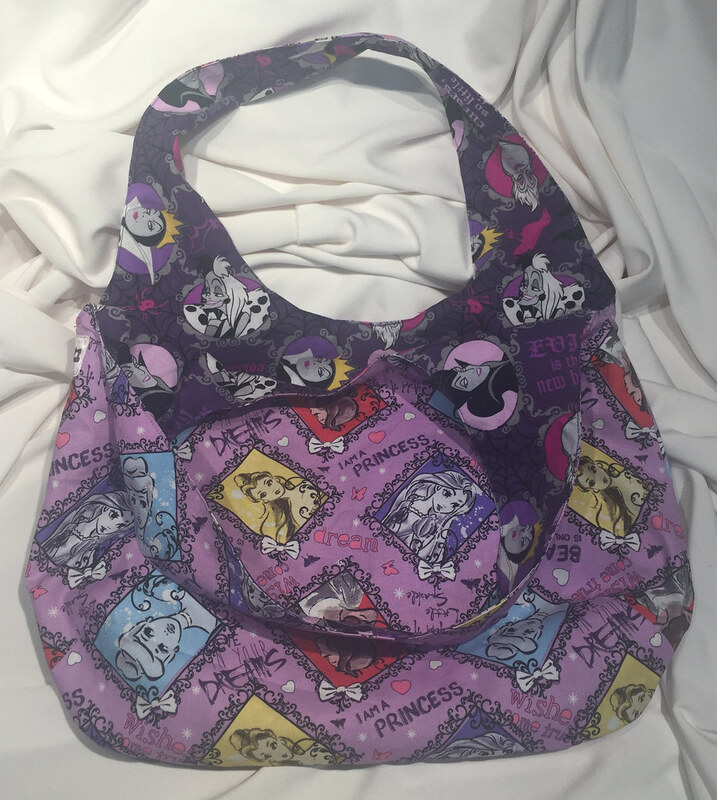 Which means that other than running a few errands, I spent most of the day sewing! This morning, I set the overskirt to its waistband. Then I pulled out a bodice mockup I had draped in a "19th c Bodice Draping" class this summer, which I loosely based on this bodice. I thought it would be close, but possibly a couple sizes too small, and or too short, since I had just draped it on a dress form. But lo and behold, it pretty much fit! That made me sooo happy, because that makes everything so much easier. The only things I had to change were to add more in the CF to allow for the closure, change the shape/length of the hem, and cut the armseye farther up on the shoulder. 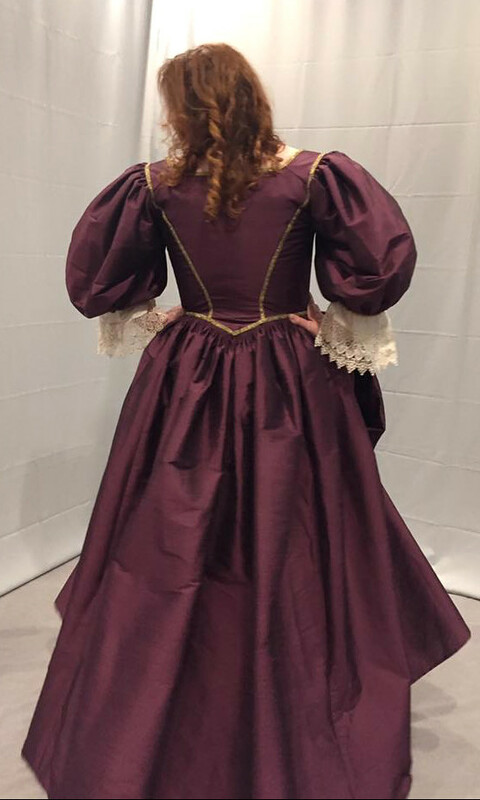 I also took the same pattern, made a different hem and back skirt shape, and I'm using it for the skating bodice, too. Oh, and as you can probably tell by the picture, I've decided that this dress definitely needs the lobstertail and pad together to make the right shape. I even pulled my petticoat out of the laundry and put it on here, though I really think I need a new one. I think I might make a matelasse petticoat, for warmth. Tomorrow, it's back to work, and I'm determined to go see a movie for $5 movie night, but I hope to at least work on the bodice some more. I bought my Disney Expo tickets today! Is anyone else going? And if so, do you want to share a hotel room? I also worked more on the green wool bustle overskirt. I attached the fur onto the back of the skirt, hemmed the sides, and hand-sewed down all the fur on the inside. I've basically used the 3.25" wide fur strips as binding on all the edges of the overskirt that show. The hand-sewing took me about 3.5 hours, so other than going out to celebrate with my bf's family, that was the majority of my sewing today. I forgot to mention yesterday that I had already pleated the back pieces to fit the waist, so now basically all that is left on the overskirt is attaching the two pieces to the waistband, plus adding all the ribbon bows (once I figure them out), and tacking down the edge where the trim ends, so that the two pieces don't flap open. This is what it looks like right now. 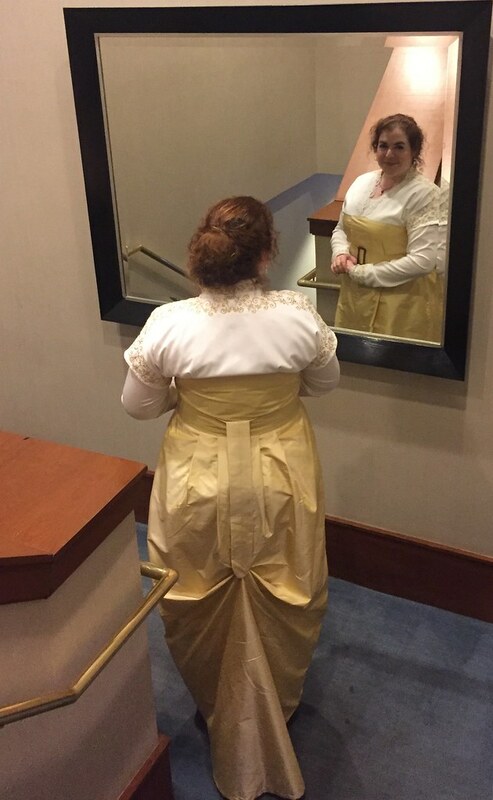 There's no petticoat on the form right now, which is why the underskirt looks weak, but I'm also still trying to decide if I want to wear this with the lobster-tail, or just the pad (currently shown with just the pad). The waistband will be done tomorrow, plus possibly a bodice mockup. Tomorrow is my last day off this weekend, though, so I might also go ice skating and almost certainly will go see La La Land. I wore my skates around the house for two hours today (while baking and sewing! ), and they didn't hurt at all, so now I'm even more excited to get them on the ice. I spent about five hours sewing today, and I feel like I have hardly anything to show for it. I picked up black matte poly satin from Joanns today, and cut out the lining pieces for the overskirt. The front panel is close-ish to done - the satin is attached, it's pleated at the waist, and the fur trim is attached on one side - I just have to turn the fur over and stitch down the other side by hand. Of course, I had to attach the fur twice, because the first time I sewed it, I had the fur on the top layer, and it wound up gathering the skirt pieces to the fur. It looked so horrible, so I picked it out and re-sewed it, flipping it so the fur was the bottom layer being fed through the machine. It turned out that it had gathered a total of eight inches the first time! The back piece has been giving me even more trouble, though. I think it's because I had already trimmed it last night, which probably caused the outer skirt fabric to gather a little, and plus wool can be kind of stretchy (even though this piece is not on the bias). But somehow, the wool piece has wound up off a bit from the satin piece, with the satin both longer and wider at the hem. 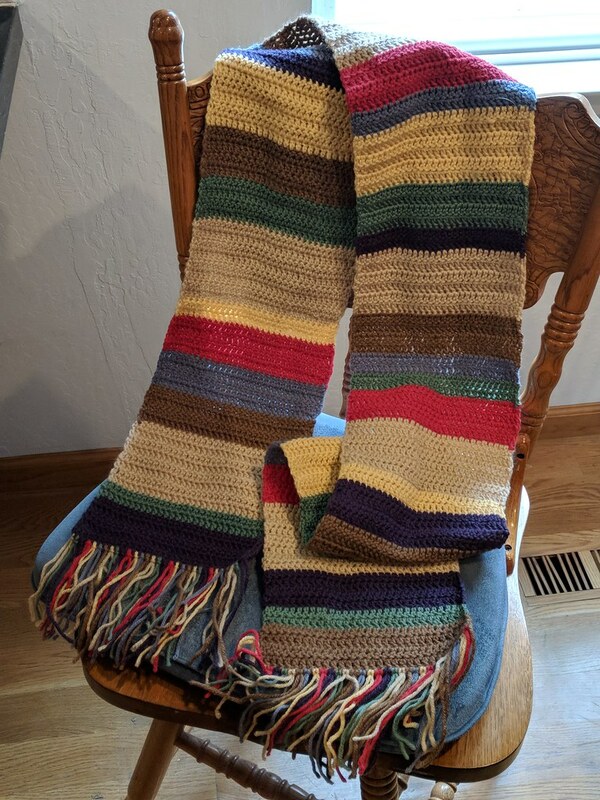 So I cut off a couple inches, only to find once I was actually sewing it, that the machine was stretching the wool back out to fit the satin, and it would have been just about fine had I not cut that excess off. Sigh... I'm hoping the fur will hide everything once I put that on tomorrow. I'm also trying to figure out what to do for the ribbon trim. In the original, the fur is kind of greyish. Mine is much more tan, with some black and white hairs mixed in. Joanns has wide ribbon in very limited colors, and nothing in the tan family. I tried seeing what grey would look like (and it just reads white), and I tried black (which just reads as boring). 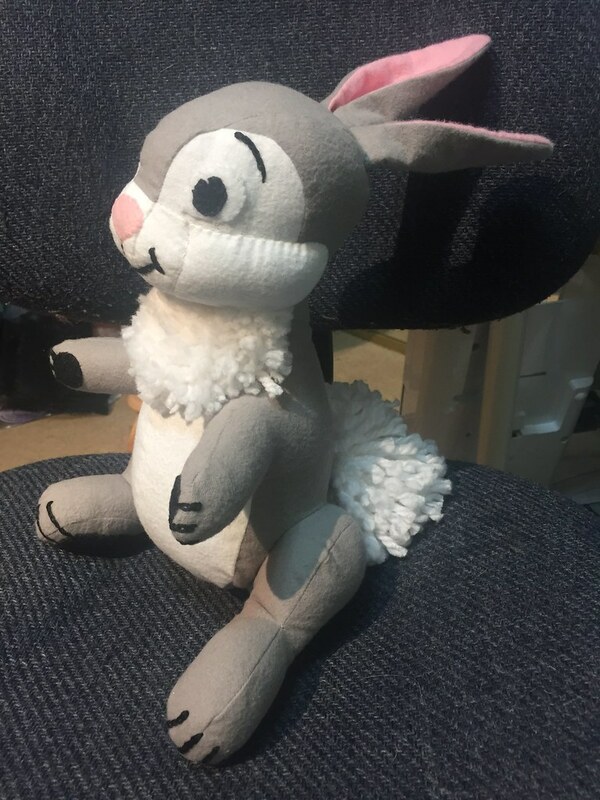 I think I want either a very deep slate gray, or a tan-ish color to match the fur, but have no idea where locally might have 2-3" wide ribbon (and preferably cheaply, since I need a ton of it), and it's so hard to color match online (plus I want it now). I guess I might have to settle for the grey or black, though I'm tempted to cut strips of satin and melt the edges to make my own ribbon. Has anyone ever tried that before? No pictures yet, because it's 3am, and I should really go to sleep. Oh yeah, and Merry Christmas and Happy Hanukah! I had a productive day today! After not sewing for the last two days, I had today off, and spent a good chunk of it working on the green wool bustle gown. I used the morning to clean up the disaster that my living room had become, but once that was done, I turned to the skirt. And I finished the whole thing, including the hem! 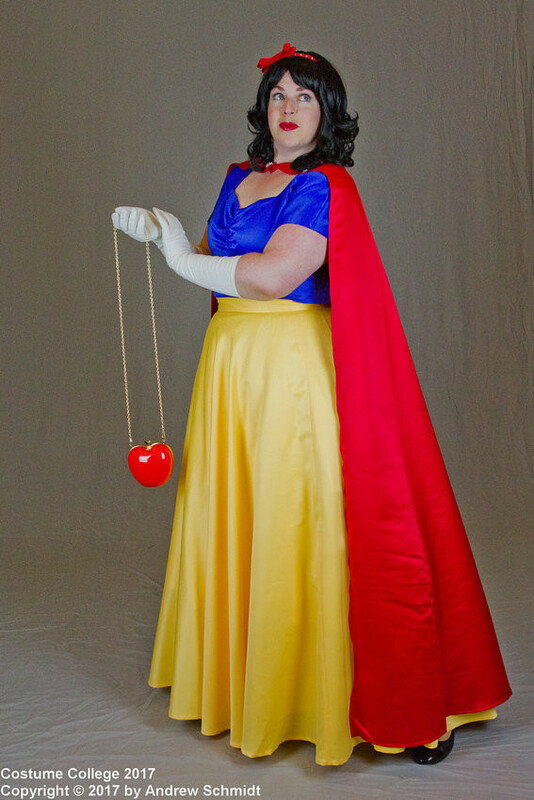 Once that was done, I turned to the overskirt. I had vaguely mathed out the pieces over a month ago, but I finished the rest of the patterning today. Unfortunately, I should have trusted my original math on the CF length of the front panel - I cut it about 2" shorter than I had originally planned, and I wish I had kept the point longer. Otherwise, it looks pretty good so far. The back is made of two 36x46" panels with a seam (and opening) up the CB. It will be gathered to the waistband. The front is one shaped panel, and will have a few larger pleats to fit it to the waistband. I started on the trimming of the back piece, too. I've attached three rows of velvet ribbon around the hem, and cut my fur strips. Here's a pic of the trim, and Ryder wanted in on the action, too. 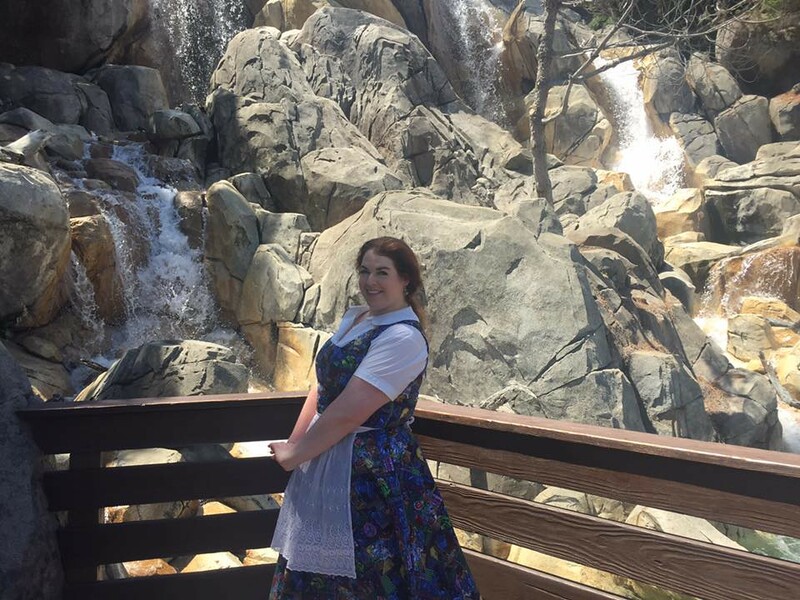 Anyway, tomorrow I'm seeing a matinee of The Little Mermaid musical, but when I get home, it's back to work (though I think I need to do some baking, too). I'm so daunted to start the bodice, though, because the peplum is so weird. Maybe if I haven't picked up lining fabric yet, I'll just CADD it, and start the skirts of the skating dress instead. Oh, and my ice skates arrived today! They're so pretty, though the right one was kind of killing my arch (I was wearing them around the house for 15-20 mins). I hope I can break them in fast! I finished cutting out all the pieces for the corset, which means it's ready to sew together. But I can't decide what technique to use to make it! I can't do the only technique I've used in the past (sewing the inner and outer layers together all in one seam) because the bones go across the seams. So would it be better to sew together all the outer seams and all the inner seams at once, then sandwich the boning in between the layers? Or would it be better to treat the two layers as one, have all the seams on the inside, and use twill tape for the bone casings? I'm leaning towards the latter, because it would be easier to tweak if I need to. I know people made single-layer corsets all the time, but I don't want this to be just canvas, which is why I'm doing the outer fashion layer as well. Also, if I do the latter technique, how are the seams finished inside? I can serge everything, but I kind of wanted this to look more historically accurate.. I also cut out my skirt panels. I was really hoping to get my Princess Anna order done today, but the fabric store I went to only had ugly shades of blue cotton. So tomorrow I'm going to try another Joanns, and hopefully they'll have what I'm looking for. Otherwise, I guess I'll just have to make do. 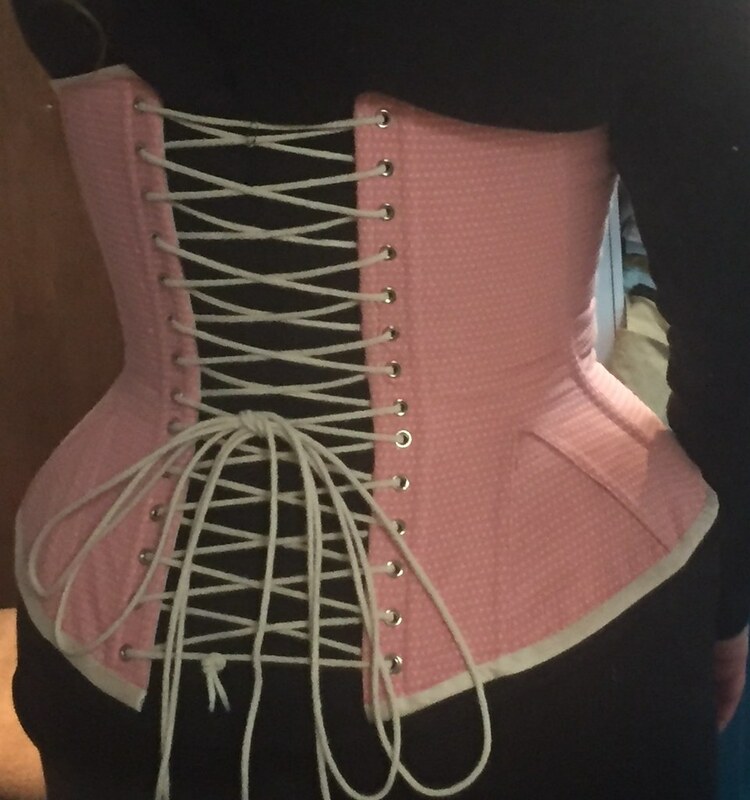 My only real worry is that with the actual amount/type of boning in (as opposed to taped in cable ties), and with a properly boned/grommetted lacing area, I'm going to be able to lace it tighter, and it's going to wind up too big. But I have no idea how to account for that... I have about a 4" lacing gap right now, and it's pretty much even all the way down the back, which was my goal. 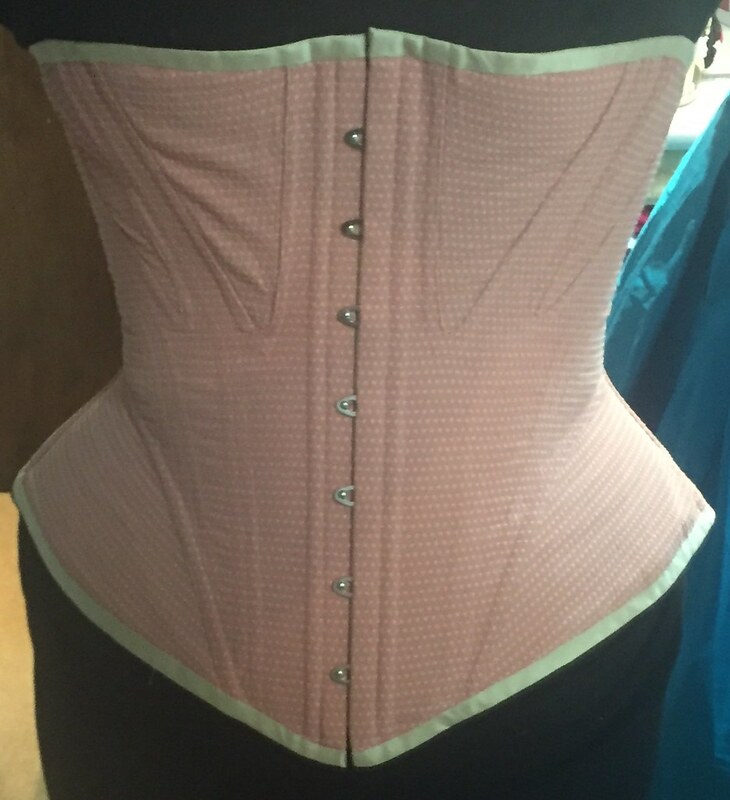 If anyone has any pointers about how I could get more waist reduction without redoing the actual mockup, please share. Otherwise, I'll probably be cutting out the actual pieces this afternoon, and the only change I'm making from this mockup is cutting down the top of the front by .5". 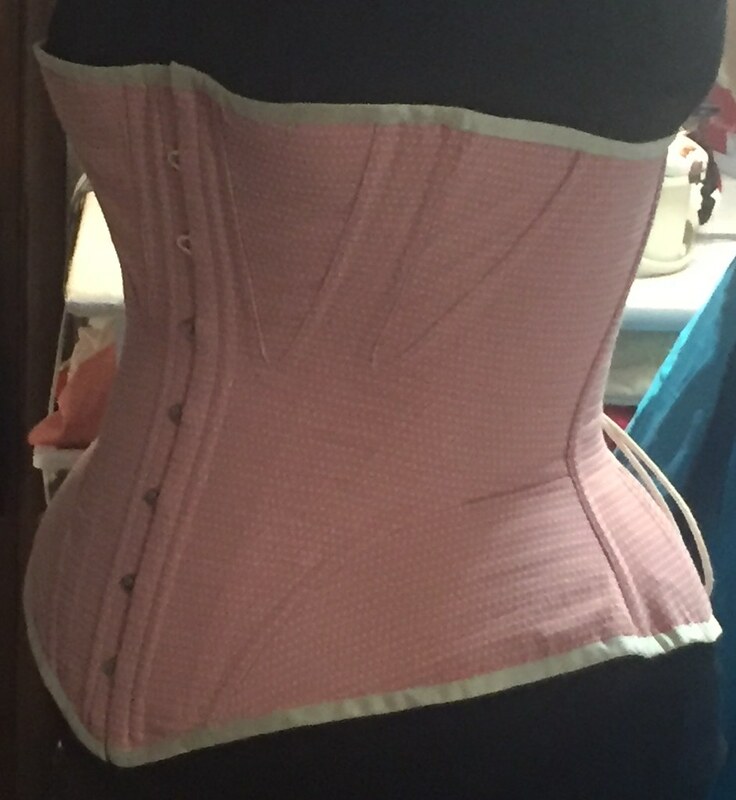 The first picture here shows how I'd like it to reduce on the waist where I'm pushing it in. The second picture shows the lousy tightening I'm able to do with the bad lacing strips combined with super slippery cording (ie: the wide section of lacing is actually fairly loose, but the cords are too slippery for me to tighten that section on my own). I also took the time last night to go through all the math for my green wool bustle gown, to see how careful I would have to be with my fabric cutting. And the good news is that since wool can be cut in any direction, and the fabric is 64" wide, I don't have to scrimp at all! In fact, if my math is right, I think I'm going to have about 50" of solid length leftover. So maybe I can even make a piece of matching outerwear with this fabric. If I finish cutting out all my corset pieces before my busk gets here, I'm going to start on the skirt. I'm so excited to finally be able to work on this dress!